A surgical scar is a type of injury to flesh caused by surgery, usually an incision, that requires the modification of all layers. Because a surgeon cannot control all the factors that determine the appearance of a scar, treatment after the surgical area has properly healed is sometimes necessary. The challenge with surgical scars lies within the matrix of all the forms or categories of scars involving hypertrophic and keloid scars and pigmentation flaws. These scars thicken over time. Scar therapy has been historically limited. 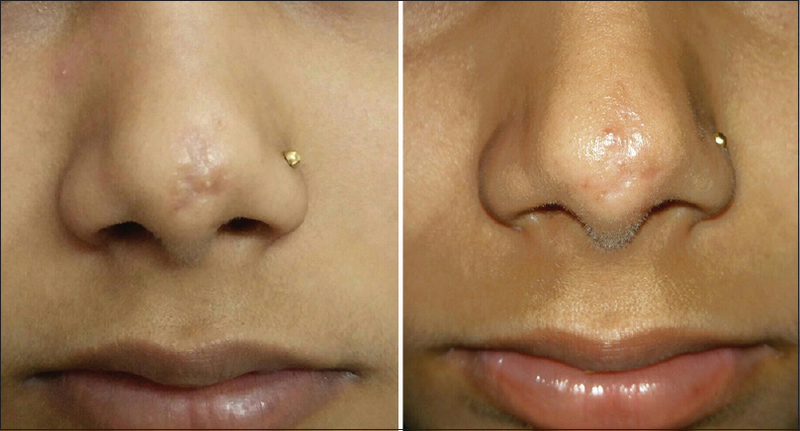 The unique vertical stamping and depth control, up to 2.5mm, helps alleviate the appearance of surgical scars and can be a better modality to other methods or rollering. With surgical steel integrity, the robust nature of the automated needle tip (12 needles total and sized at thirty-three gauge) penetrate difficult scar tissue, dramatically improving appearance, texture, elasticity, size and mobility. Scars have altered physiology compared to other skin conditions. Multiple microneedling treatments are recommended and may vary depending on the severity and type of surgical scar. Consult your physician about the best course of action for your particular surgery scars. Microneedling stretch marks have shown some amazing results. Stretch marks can result from a whole lot of things, including pregnancy, childhood growth spurts, and genetic predisposition. The picture below depicts some outstanding results that a microneedling patient experienced after a full treatment regiment on a large area of stretch marks on the stomach. Although results can vary from patient to patient, often there are quite drastic before-and-after picture comparisons. Stretch marks are tears to the connective tissue of the skin, caused by overstretching of the skin. When the connective tissue is stretched, the tear results in what’s called an epidermal atrophy along the area that has been damaged. Once this happens, the epidermis becomes thin and loses its ridges, breaking the elastic fibres and causing the epidermis to retract. When you microneedle your stretch marks, it helps to promote regeneration of the skin covering those stretch marks, which restores the contours of your skin’s surface.